VANCOUVER - A new coalition of high-profile health, academic and justice experts is mounting a campaign to legalize and regulate marijuana in British Columbia, arguing the policy change would reduce gang violence and convert criminal profits into new tax revenues. The push comes as the federal Conservative government moves to pass polar opposite legislation, an omnibus crime bill aiming to toughen penalties for drug traffickers along with other law-and-order measures. Calling itself Stop the Violence BC, the group released it first report Thursday and is pledging to issue further scientific research, poll results and hold public forums in an effort to pressure politicians towards its cause. "To continue the criminalization of marijuana is, I think, completely out of tune with what's going on in society today," Ross Lander, a former B.C. Supreme Court judge for decades, said in an interview. "The coalition's objects meet what I would personally want, that is stop the useless killings and the violence that attends this drug trade." The activist efforts are emerging from a province that's well-known for its underground marijuana-based economy. 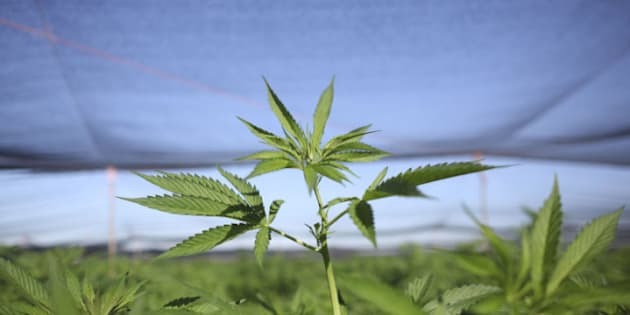 The coalition noted a recent estimate by the right-wing Fraser Institute that puts the value of the illegal cannabis market at upwards of $7 billion. Members of the group have seen the deleterious effects of such organized crime up close in their jails, courts and hospitals. They include criminology professors, medical health officers, police and a retired RCMP Chief Superintendent. The report, called Breaking the Silence, said the ban on marijuana has not only been a failure but it has spawned violence while making criminals rich. It points to scientific and public health research in proposing that lawmakers regulate pot under a public health framework. Police officer David Bratzer, who's based in Victoria, said he believes prohibition is "well-intentioned. "But my personal opinion is that it has failed in B.C. and around the world,” said Bratzer in the coalition's news release. He said the huge criminal enterprise managing the drug trade becomes more dangerous each day. "I strongly support controlled marijuana legalization as an effective way to fight crime and protect our communities." The report was accompanied by an Angus Reid poll that found 87 per cent of British Columbians attribute gang violence to drug trafficking, in which groups fight over marijuana profits. The poll of 800 people was conducted online over three days in early September. It has a margin of error of plus or minus 3.5 per cent. "The time has come for all politicians – municipal, provincial and federal – to say whether they agree with public opinion," said Dr. Evan Wood of the BC Centre for Excellence in HIV-AIDS in the news release. He said politicians must "show real leadership" on the matter by acknowledging that marijuana prohibition is a key source of gang violence in B.C. The federal ministry of justice, however, issued a brief statement saying the government has "no intention" to decriminalize or legalize marijuana. Instead, the government is continuing efforts under its national anti-drug strategy. "Which focuses on prevention and access to treatment for those with drug dependencies, while at the same time getting tough on drug dealers and producers who threaten the safety of our youth and communities." B.C. Attorney General Shirley Bond echoed the feds, saying such a proposal is not being considered by the province. The report estimates there are about 430,000 cannabis users in B.C., with a much smaller fraction using harder drugs like heroin or cocaine. It states that scientific literature shows criminalizing pot has had the same "unintended consequences" as alcohol prohibition in the U.S. in the 1920s. It notes an estimated $2.5 trillion has been spent by North American governments on the "war on drugs" over the last 40 years, yet the drug is still "readily available." Further, the report describes the Vancouver murder of a notorious crime leader in a downtown nightclub in 1998 and says gang violence has only increased since that time. A bloody gang war ravaged Vancouver streets in 2009, when 43 gang-related homicides were recorded. In the same year in B.C. there was also 276 drive-by shooting incidents, many of which occurred in public spaces. RCMP say such gangs have expanded their network from the Lower Mainland to other parts of the province. The poll showed that only 12 per cent of British Columbians support keeping the current marijuana laws in place.